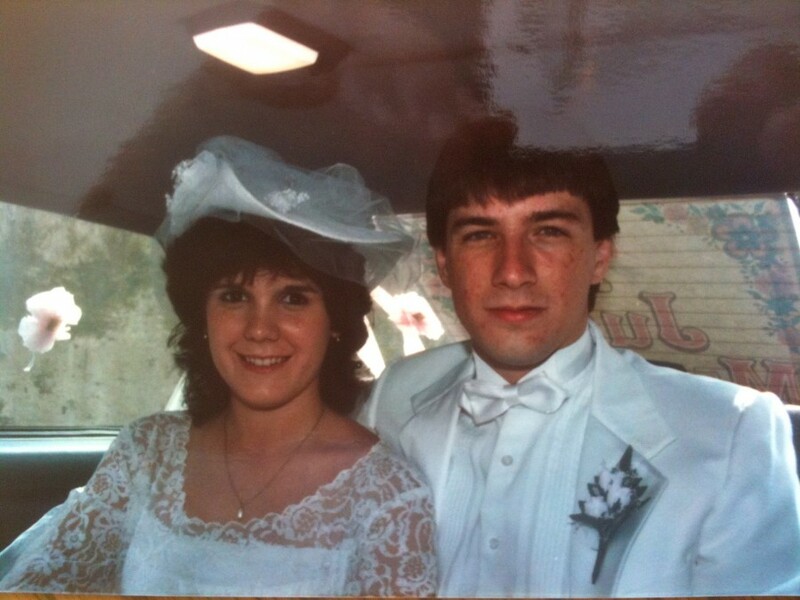 The Wife’s Turn: In Search of Answers – We Got This! It’s been a long time since I’ve written, but I am feeling extremely overwhelmed and in search of answers. How do you do it? To the moms or dads out there who have a gravely wounded or sick child or who have lost a child, how do you do it? To be honest, I am desperately struggling. While you might see me smile or laugh on the outside and I tell you I am fine, on the inside, I am not. People say with time, it gets easier. It doesn’t. To me, every day is harder and harder A day has not gone by that I haven’t relived in my mind (over and over) the day when Ryan was brutally beaten by a group of strangers; his life and dreams taken. Brutally beaten… as one mom to another… how do I deal with this? The pain he felt when it happened….the unimaginable pain. I can’t take the thought of it, not to my child. He did nothing to deserve this, he didn’t know the group, he didn’t touch the group. He did nothing. To those who attacked him…how could you hurt him so badly? What coward throws a sucker punch? Who kicks someone who is down in the head? Why? To the others present who watched and kept him from running away…. how could you let this happen, how could you walk away? What if this were your brother or sister or friend? Would you do the same? Why didn’t you stop it? Why didn’t you try to help him? It’s been 28 months… you’ve shown no remorse. How do you live with this? To the parents and families of the group; you’ve never reached out, you’ve not tried to help. How do you do it? What if this were your child? What would you say to me? Why do memories hurt so badly? I remember the good times and my heart breaks. I look at pictures or home movies and cry. I think of our long talks and wish desperately for my phone to ring with Ryan on the other end laughing and telling me a story. I see his friends growing up and getting ready to graduate college and I feel excruciating pain that Ryan isn’t with them. Yes, Ryan should be graduating from college this May. I hear a song and it tears my heart apart. I think of Kari, my beautiful Kari working so hard at school, but missing her brother terribly. Once again my heart breaks. This isn’t fair to her. I see Ken struggling to keep Ryan healthy, providing him with the best chance for survival, but know that he too is struggling to keep it together. He can barely stand or walk from the pain in his hands and back. But he won’t quit, he never will quit. I won’t either, nor will Kari. We are here for Ryan and for each other. We are a family and our love can outlast anything. Why can’t it be me? Although prays are difficult now… I still try. I ask over and over for God to take me and give Ryan his life back. Ryan deserves his life. I pray for his recovery, for a miracle. Will my prayers ever be answered? And finally… am I selfish? Along this journey we have been lucky to have such incredible people surround us, Those willing to give their time, love, and support to Ryan and our family; many are also strangers. To each and every one of you, my unending thanks and appreciation. I could not go on without you, but am I selfish to accept your support? I feel such guilt that I cannot repay or return the favors you have done for us. I feel horrible for the thank you cards that haven’t went out. Is the fact I’m overwhelmed a good excuse? I think not. But when tragedy comes to your child, how do you do it? You’re not selfish. Anything but. I see a bit of the miracle starting with the video that shows Ryan holing his head up and turning it on command. How beautiful! What you are experiencing is the rage & guilt stages of grief. You are mourning what might have been. Acceptance of the new reality is hard. Don’t dwell on the attackers, don’t let anger at them destroy you. Love them and leave them to the Lord. Let that be your prayer & you will find great peace. See the love, beauty, courage, generosity & determination that is YOU and surrounds you. You are the blessed ones. Sooo hard to see I know. Your son & family are living each day with attributes you would only have hoped they had. You are realizing your best potential. Celebrate that! It’s not pretty; it’s not easy, but it is worthwhile. Rejoice with the small & large miracles of each day. Hug yourself, pamper yourself. YOU ARE GREAT! No,it’s not what you expected, but you are succeeding beyond your wildest dreams. Don’t ever feel selfish about accepting help. Most people give it in thanksgiving that they are not the ones going through this. Some have shared your pain. In the blink of an eye, you will love, appreciate & find joy in your life. Selfless* not selfish. Please don’t ever think otherwise. “Be strong and courageous. Do not be afraid or terrified because of them, for the Lord your God goes with you; He will never leave you nor forsake you.” Deut. 31:6. This is how I feel about you, Sue. You, Ken and Kari, for you are the strongest, most courageous people I know. God is with you, even if you don’t always feel His presence, He is there. You are one of the strongest women I have ever had the pleasure of knowing. Your strength comes from a place that is so full of selfless love that it silently touches your family and those around you. Never doubt what a wonderful and loving mother you are..for both of your children are a product of this and have shown that to me by being amazing friends. For your pain, suffering, and unbearable loss I am truly, truly sorry. You deserve better and to be happy. Sending lots and lots of love your way! We will carry Ryan with us forever, but then again how could we not. Thinking of you today, Sue…. Here every day in the one small way I can be. You are not a selfish person…..and do not ever let that thought creep into your mind. I can not imagine your heartache and pain. All I can say is you are stronger than you know. Wish I knew you in person, wish i could give you a hug. You live one day at a time. Don’t look back and don’t look into the future but say focused on the moment. The here and now. And always love. 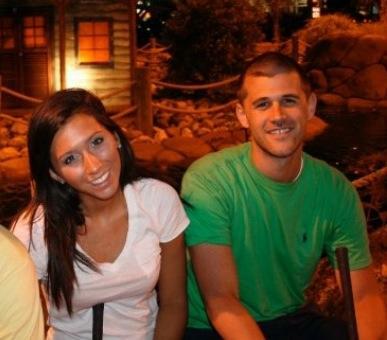 My prayers continue for Ryan and the family. I read the blog everyday and today brought tears to my eyes. I hurt so much for you and your family Sue. I also don’t know how you do it and most likely you will never get the answers that you are looking for. I am not religious, so I know that many people are able to look to their god for answers, unlike myself. You have to live this new life everyday and that is so painful. Your beautiful and wonderful son is living a life in limbo and you are there with him so each and everyday you are reminded of what was robbed from him. I don’t believe that anyone can fix this for you and as much as I wish the pain for your family would go away that is most likely not the case. If I could say one little thing that might be of any use to you it is that having seen what your family has gone through reminds me everyday to tell my own 22yr old son that is in college and away from home, to be careful and I love him. I wish your family only the best and hope one day life is not so painful for you. Ryan is dearly loved and so is your beautiful family. What was, we cherish — what might have been, we mourn — what we have now, we hold onto, love and by the grace of God take care of as best we can. We’re here, and we’re not going anywhere. Knowing and helping Ryan is a privilege, never a burden. We get much more than we give. Always remember that. Thank you for your letter today. Ryan is blessed to have such strong loving parents. We all know how hard Ken works each day through information from this site. We also know you work hard to provide the income to support the family. As important as the income is, you also provide the encouragement to Ken which povides him the strength he needs. You both do an excellent job and the reason why Ryan is recovering. His healing is taking time but videos show improvement is coming: holding his head and turning on command and, the Thanksgiving video of arm raising to get more of his favorite food. I am gald you are keeping your faith in God because HE is helping Ryan (as well as helping Ken…and your family). We pray for your family every day and ask God to Bless you. 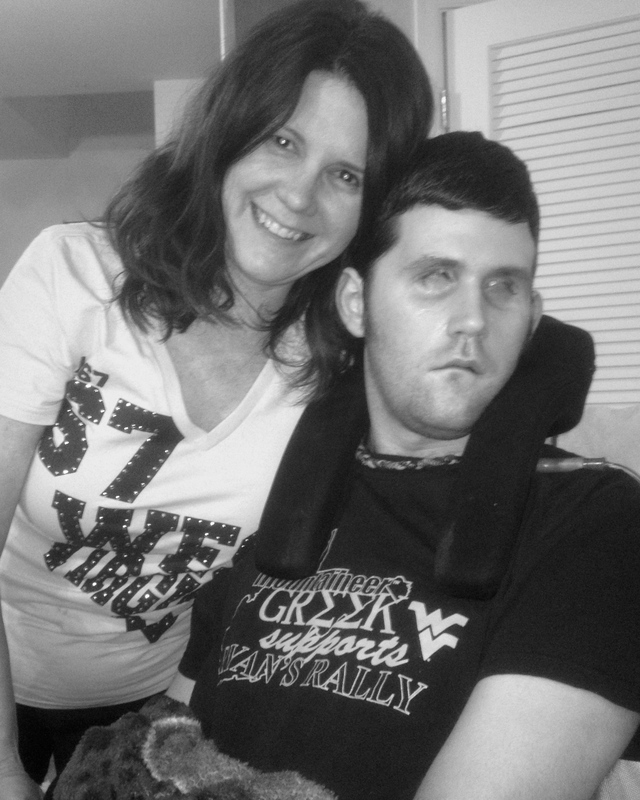 Keep up your strength and your faith….Ryan will get better because of the care and love his family is providing. Thank you for keeping us informed and do not feel guilty about not mailing thank you’s or anything like that. Everyone who keeps up with this site certainly understands how overwhelming the situation is. We are thankful for the postings to keep up with how things are going. God bless Ryan and your family. I can’t seem to get my 2 cents to post on the blog. First of all Sue, never feel guilty for the compassion others extend to you. You are stronger than you know. Thank you for this beautiful, poignant and heartfelt post. All I can think of to say is to trust God that He will continue to strengthen you, your husband, your family, the caregivers, and the volunteers and other supporters through this process. This is a labor of love, and there is no other love like a mother’s love. I have never had a child injured in this way, but I did watch my father suffer through injury and disease, and all I can say, that although he has passed, it was worth every dime, every effort, every mile that I and my siblings put in to ensure that he was comfortable and at peace. What you are doing is worth it. God rewards you when you show this love. We don’t know why Ryan was chosen for this trial, but I pray that he feels every bit of love and care that is coming his way. You are a great mother, in fact, you two are overwhelmingly outstanding parents, and I would do the same thing. Love and many prayers! Sue, the only words that I can possibly think of to help begin to heal your broken heart is this — know that we love you. Your family, your friends, and your neighbors. We care about you and we love you and your family. Let us carry some of your burden for you. I don’t personally know your family, Sue ~ only happened upon Ryan’s Rally through your neighbors, the Onderchains. Your message is perfectly stated….I don't know how you had the strength to 'put it all out there'. It's impossible for me to even begin to imagine the anger and resentment you must struggle with. All you can do is take each day – one by one…lean on your friends and family in the toughest hours…and in the darkest of times, continue to keep faith that God will see your family through it all. Praying for a miracle…that your son will share a smile and laughter with you again, that you'll be able to create positive memories that will *flood* your heart with happiness, putting to rest all of this sadness and hurt that you've taken on over the last 28 months. The pain in your post is palpable, and I am so sorry for all that your family has had to endure. Know that you, Ken, Kari and Ryan are loved and supported by so many, circling the wagons around you all. The only way I can explain how you all do what you do, is that love conquers all. You are INSPIRING. Sue, started posting this morning, but got interrupted. Such a touching post today. We never need or want a thank you note from you. Use you time for Ryan and you family. The little we help is not worthy of a note with al l you have to do, just know we are always thinking of you. Always talking and remembering the good times the boys had freshman and soph year at WVU. It’s hard for all personally involved, but know we are always praying for God to intervene. My heart aches for yours as a mom. I can not imagine the grief and yearning you have for your boy. Please stay strong, there are better days ahead for you. Kari will graduate, get married, bring you the joy of grandchildren and she will need you for those special times. Look ahead. Always thinking of you! The pain and heavy heart you feel is because you’re a Mom. Moms (and Dads) feel every pain their children feel. Remember the first time we take our babies for their Shots – we felt them, the time they got stitches, we felt them (and then I passed out). All the pains in life, we feel when our children hurt. The unimaginable happened to your dear sweet Ryan. The pain you and Ken carry every day must be such a burden. But we’re here to help, if in some little way, to help, to pray and to hope. I have never had the pleasure of meeting you, but I feel a connection with you because we are Moms. We feel everything, it’s what makes us Moms. And being a Mom makes us selfless. Nobody is here because they are waiting for a thank you card. I am here, because the unimaginable has happened to your dear sweet Ryan and as a Mom, I would hope for the same support if something tragic happened to one of my boys. As far as the horrible thugs that did this to Ryan – they don’t have Moms, that have incubators that carried them and turned them loose on this unsuspecting world of good and decent people. Sue, Thank you for sharing your heart, for trusting your readers with the raw truth. I am here for you, in spirit, reading the updates and praying daily. Hold on to the love of your amazing family and never feel selfish about accepting the kindness of those who care about you all, be blessed by it. You give all you have to Ryan and draw strength and hope from all of us who are praying for that miracle! Oh, Sue..These responses say it all. You all are dearly and truly loved by all of us, always and forever, no matter what, Team Diviney. You only have to take the next breath and you can cry all the time if it helps relieve the pressure, and the Lord will do the rest. Those ‘footprints’? The Lord is carrying all 4 of you now. I think it is a miracle that Ryan turned his head when you directed him. That was a fantastic video–that you caught only by virtue of having those surveillance cameras there. Your post really struck a chord with me. I think it’s that mama bear protecting our young type of thing. We all love you and your family – please don’t EVER feel guilty about accepting help. Those who help you look for nothing in return. That is God working through them to lift you and carry you, especially during times like this. At any rate, I wrote the following poem for Ryan back in December 2010 but I never had the nerve to share it…until now. I hope in some small way it will help you – Still here, NGA, Always praying with faith, hope, and love. Your healing hands, your loving heart. 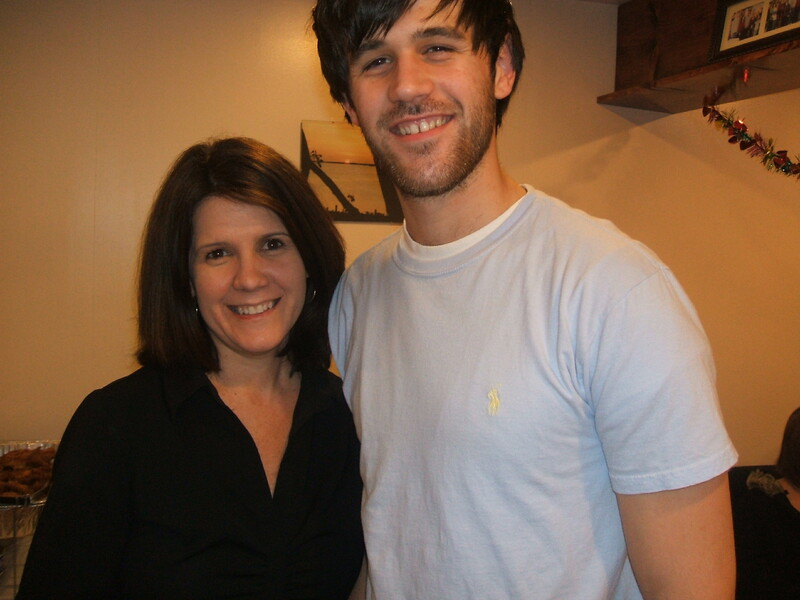 Sue, I have been thinking of Ryan (and all of you) a lot recently – Especially as graduation approaches. Such milestones in life cause us to assess where we are and then compare that to what we would have expected. For you, Ken, and Kari this is especially difficult. It makes me think of Ken’s post where he recanted a pre-TBI beach vacation where he actually thought to himself that the life of the Diviney family was too good to be true. We should all take the time in our lives to recognize the blessings that we are lucky enough to enjoy. I certainly know that I would benefit from doing so. We recognize that we are so very blessed to be looking forward to Kaitlyn’s graduation and her graduate studies. I will say a prayer for Ryan before her graduation – I hope that it helps you to realize that we also feel robbed that he is not graduating soon. The kids are going various ways to different locations in search of jobs or further education. It is a time of uncertainty and a time of promise. It is a milestone – a time of bidding them well and watching them fly. I so much wish that Ryan was looking forward to these same things. There is veiled thin line between utter happiness and total despair. My beloved father-in-law used to say, “There but by the grace of God go I.” And that is such a true statement. Many people go through life relatively untouched personally by tragedy while others are profoundly impacted. We are truly sorry that this happened, and hope that one day you will get the genuine expressions of remorse that are warranted. Even though it will not change anything, it is very simply the right and decent thing to do. We pray for Ryan and continue to have hope. I can see from the videos that Ryan has made progress in holding up his head. It is clearly important to celebrate his successes. Know that we think of you often, and that you remain in our hearts, thoughts and prayers. I check this site every day, it helps me know I am not alone. It also helps me realize I am not crazy for not giving up hope. I have come to realize that even though I may have lost faith in our healthcare system, and a lot of medical professionals, caregivers,and even friends and family that promised to always be there, I have not lost faith in myself to never give up. I can see you have not lost faith in yourself ither, nor has Ken. You are much stronger than you realize. So the answer to the question, when tragedy comes, how do you do it? You have no choice, because the only person you can truly rely on is yourself, that’s how you do it. My heart is breaking again for you and your family this morning – as it breaks every time and I think of you and pray for you, which is daily. I have no answers. 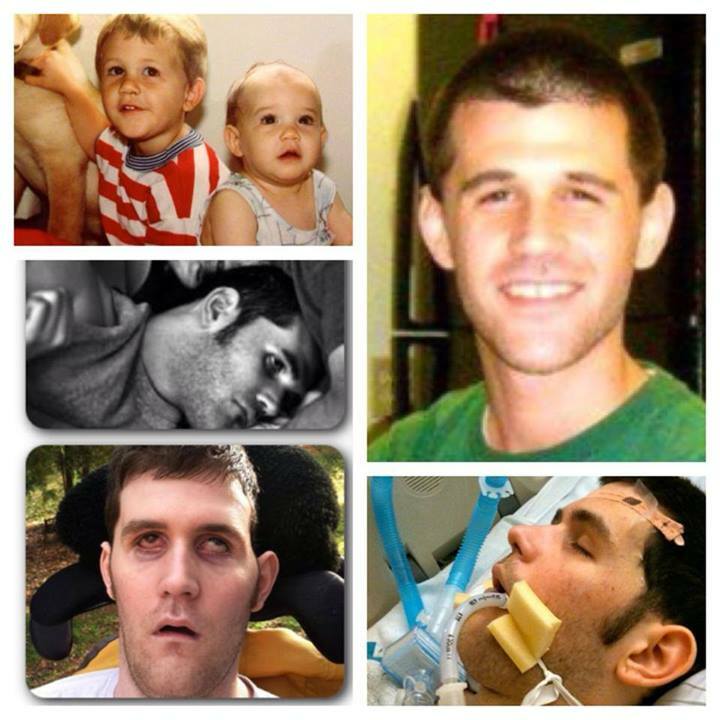 When Andrew was in a coma, I could not pray words, it was impossible. I would come before my Lord with groans and tears. I relied on those that loved me and my family to pray for us. They were able to put words and requests together and present them to our God. Please know that in the same way I am presenting requests for you daily. May God give you the strength you need for today. I follow your story on Jane’s Grace group and I am amazed by the work you are doing to support Ryan. Years ago I was part of a patterning team for a young brain injured child and the dedication of the parents was amazing. Yet, those of us who helped were only there part of the day and could not know all the reflections, feelings or concerns faced by the parents each day. I hope you will be uplifted by these posts and the knowledge that many care for you and are sending love, prayers and hugs your way each day.